UWSP Student, Amber Brunette, started her internship on Monday. Amber is a Wildlife Education major. 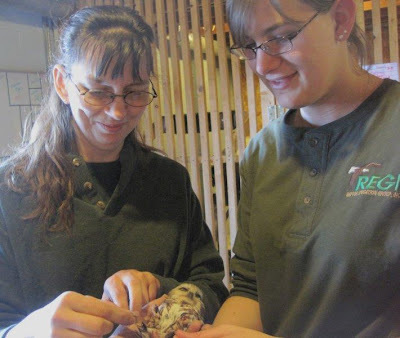 She will get lots of experience at REGI, not only in the educational aspects of wildlife, but husbandry as well. Most of our internships happen in the summertime. That's when we are busiest with baby birds, tours and outdoor activities. For Wildlife Education majors, however, summer is not the best time. 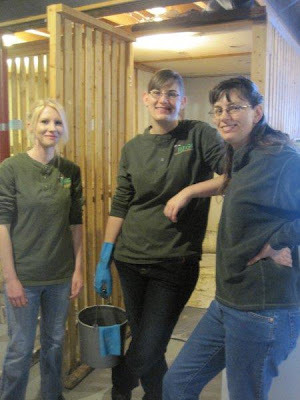 Their internship includes not only working with the education birds and gaining experience doing programs, but also caring for the birds. Doing the programs is only one aspect of the work. The natural history and learning to evaluate the needs of the educational birds is very important to the world of wildlife educators. We will be busy the next few days preparing for our weekend trip and presentation at the owl festival in Houston,MN and the following weekend at the National Eagle Center in Wabasha, MN. 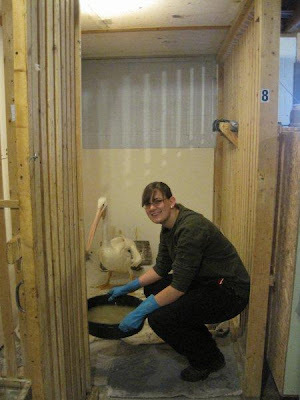 Lots of preparation is involved when we travel overnight with our birds. Each one is given a physical and checked for weight and any signs of illness or even discomfort. For instance, if a bird is heavily into breeding behavior, it is not made to travel overnight. If a bird is having a bad week and just wants to stay home, it can do that too. Sometimes birs get "crabby" just like we do and need some time off. We respect them and their needs. Sometimes people are disappointed if certain birds do not come to scheduled programs, but it is all part of being good caretakers. We take that responsibility very seriously. So, the question is always asked..."How do you know if they don't want to go?" That is a part of knowing the birds so well that we key into every bit of body language and behavior they toss out. 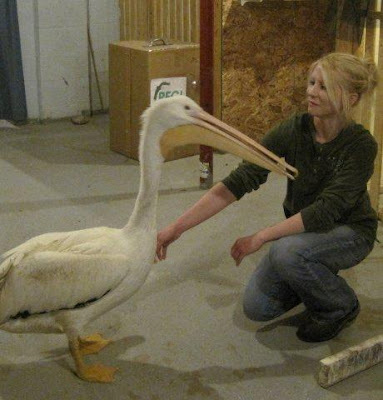 Most of our birds have been with us for many years and become like old friends. It is also why the birds in our programs appear to be so relaxed and comfortable with their work. Lots more work to do today. It is another beautiful day for Northern WI this early in March. We are getting used to this mild weather and are all ready for spring to come.